When you are injured through no fault of your own, the liable party can be taken to court with the aim of suing for personal injury compensation. There are two types of compensation, namely compensatory and punitive damages. In the first case, compensatory damages can be awarded to recover what you have lost as a result of injury. This could include lost wages, damage to property and medical bills. The second type of compensation is known as punitive damages. These are awarded less often than compensatory damages and are intended to discourage the guilty party and society in general from committing the same act again in the future. Punitive damages can include legal fees, exhibit fees and other costs incurred by the court case for both parties. In order to find out if you can claim a personal injury settlement, contact a lawyer for an assessment as to whether your case is likely to be successful and what sort of compensation, if any, you will be likely to receive. Factors include loss of wages, medical costs, potential costs down the line and where the liability for the case lies. Some law firms, like Gloria Law, will attempt to have the opposing party pay the costs of the lawsuit. They also operate on a system whereby they don’t get paid unless the lawsuit is successful, saving you the stress of worrying about additional costs. The time it will take for you to receive your settlement, should your case be successful, relies on how long the case itself takes. For Gloria Law, our personal injury cases start with us attempting to negotiate with the opposing party on your behalf for an immediate settlement. If this fails, we will file your lawsuit. Prior to trial, we attempt a second mediation meeting. Your case will continue to trial should this last attempt at negotiation fail. Your case can be settled at any point from then on, including during the trial. Typically, a case will last between ten and twelve months, but this is only an estimate. 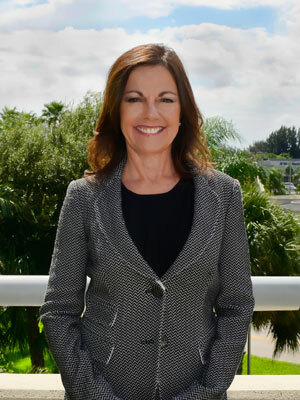 If you believe that you have a case, a personal injury lawyer in Port St. Lucie will be invaluable in guiding you through the complex legal system, finding witnesses and ensuring that you have all the information at hand to establish who is liable for your injury, and how you should be compensated. Contact Gloria Seidule to discuss how you can proceed with your personal injury settlement.